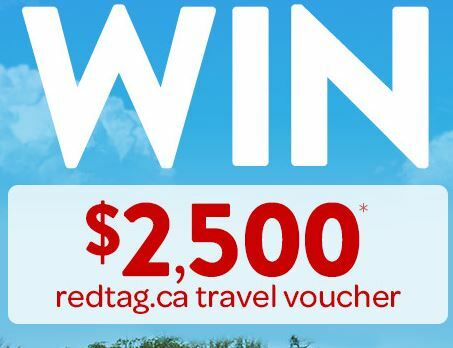 Enter the new Redtag Jamaica Giveaway for your opportunity to Win a $2,500 Redtag.ca travel voucher. This contest is open only to legal residents of Canada (excluding residents of Quebec) who are at least the age of majority in their province or territory of residence. To enter you just have to visit the official contest web site and completely fill out the online entry form with your name, last name, email address, phone number and your closest departure city. You can earn additional entries by sharing the contest on Twitter or Instagram. Contest closes on Monday, April 29, 2019 at 11:59 pm EST. Winner will be selected by random draw from all eligible entries. The Grand prize consists of a $2,500 redtag.ca travel voucher to be used towards a Vacation package to Jamaica. The Redtag Jamaica Giveaway starts on Monday, April 15, 2019 and ends on Monday, April 29, 2018 at 11:59pm EST. Winner will be contacted via email and phone on April 30, 2019.